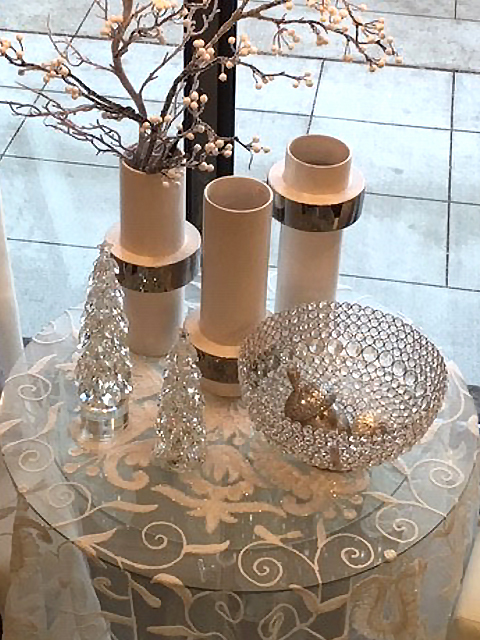 Have you made your holiday decor list and checked it twice? If you have been out shopping recently you will have probably noticed signs of Christmas popping up everywhere. While the general response to scenes like this is a smile, there are some people who resent the early yuletide imagery. 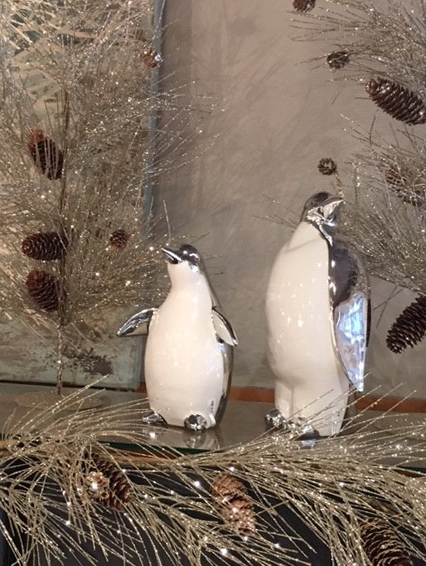 If you follow our blog and love all things decor you probably don’t need an excuse to start decking the halls or at least start making the list early, but here are a few reasons why getting an early start on your holiday shopping and decorating is a good idea. Of course we have plenty of inspiration to get you started too. Psychologists even say that decorating for the holidays can lift your mood. There is something nostalgic about decorating for Christmas. Many people associate it with the excitement they experienced in their childhood. Plus the glistening lights and colours of the season boost energy levels and happiness too. These gorgeous gift boxed candles are just the chromotherapy, or color therapy that the doctor ordered and we encourage you to share this cure for the winter blues. They make amazing gifts. Speaking of nostalgia. Christmas is the perfect time of year to let your inner child break out. Have fun with some touches of childlike cuteness in your decor. Oh did we say touches, we actually meant go all out, go big this year. How about these giant decorative moose. Have you pulled out your winter sweaters and socks? Why not warm up your home as well. Embrace those earlier sunsets with the ambiance of candlelight. These battery operated flickering candles are a perfect and safe way to bring light night after night throughout the winter and beyond. 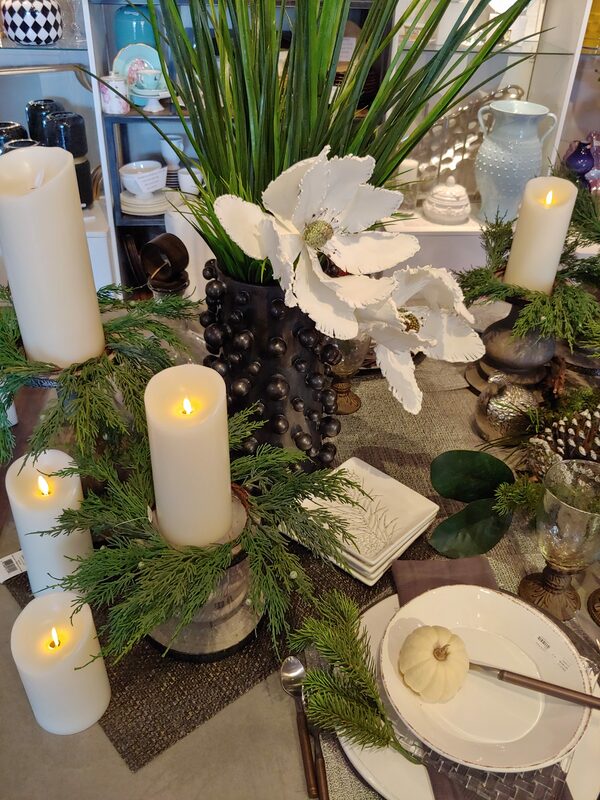 The staff at Modern Accents can also help you find the candle holders and holiday embellishments that will wrap up your home in holiday warmth. 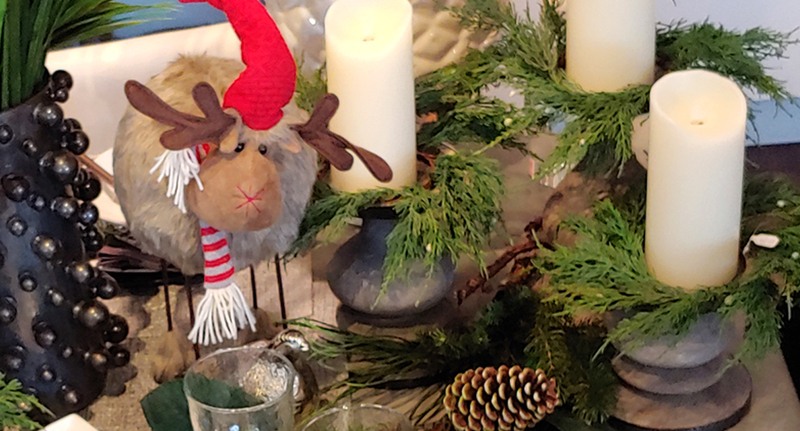 Pulling together your perfect Christmas decor is a lot of work so getting them up earlier means being able to sit back and enjoy the fruits of your labour. Besides once they are up you can concentrate on your gift list and enjoying time with family and friends. 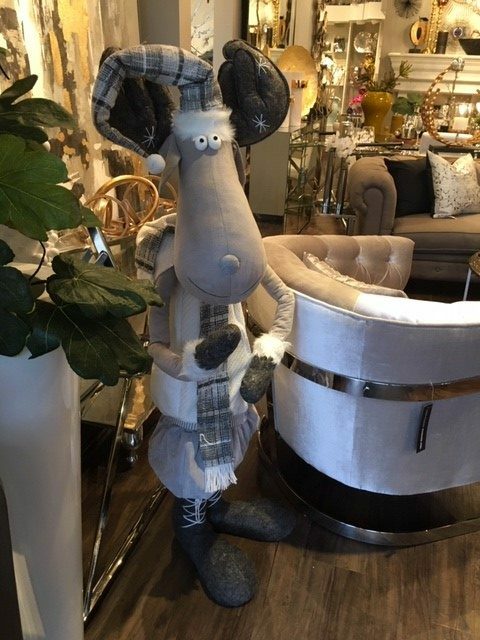 If you love the process of decorating and design perhaps even give yourself the gift of more time by decorating in stages or sections. Put up some winter decor first and then transition to the more traditional Christmas pieces later. Also remember that often the best pieces to invest in for the holidays aren’t even necessarily Christmas pieces at all. 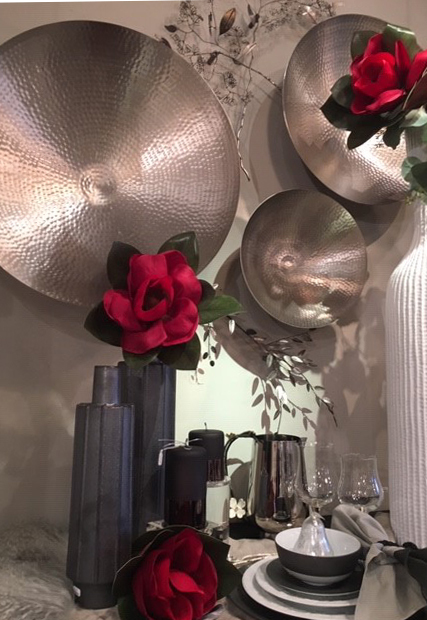 Containers, vases, trays, bowls and more can be festive just in the nature of their appearance. 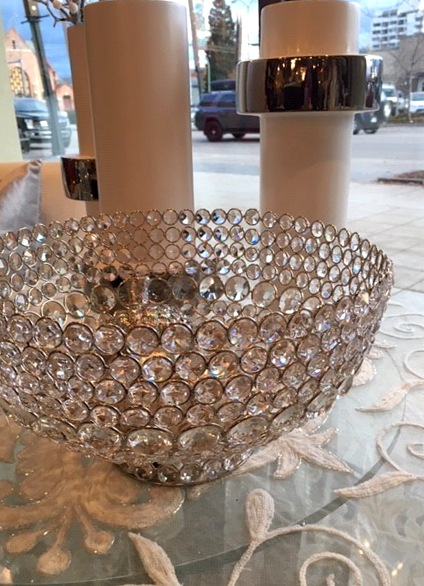 A little twinkle of silver, gold or crystal glass does the trick. 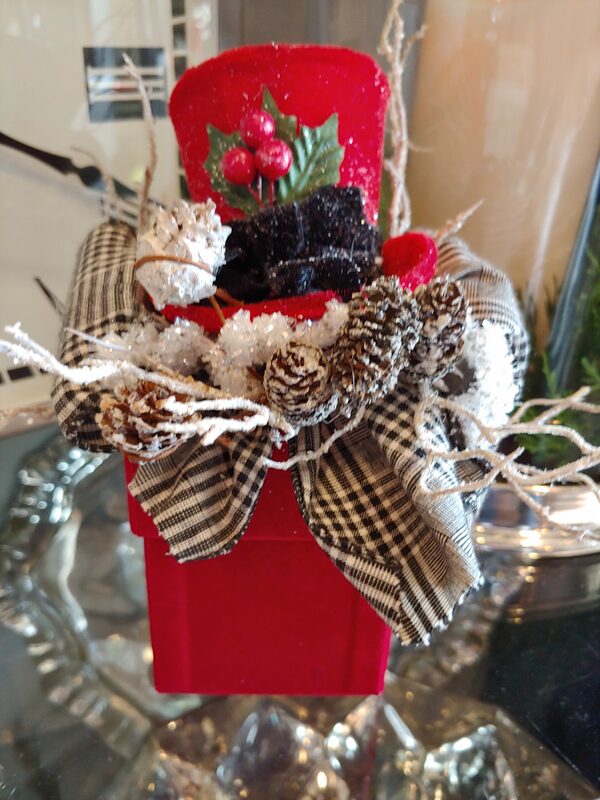 You don’t necessarily have to go with traditional Christmas decor to get in the holiday spirit. A few pops of red and green juxtaposed in this modern vignette make for a contemporary and classy celebration. Why stress yourself out having to plan and decorate all at once at the last minute between holiday shopping, baking and planning for guests. Your time should be spent enjoying family and loved ones closer to the holidays instead of picking out what linens and chargers will work best on your Christmas table. Stop in and be inspired now so you can check a few things off your holiday to do list early. If you don’t others are already out there doing it. 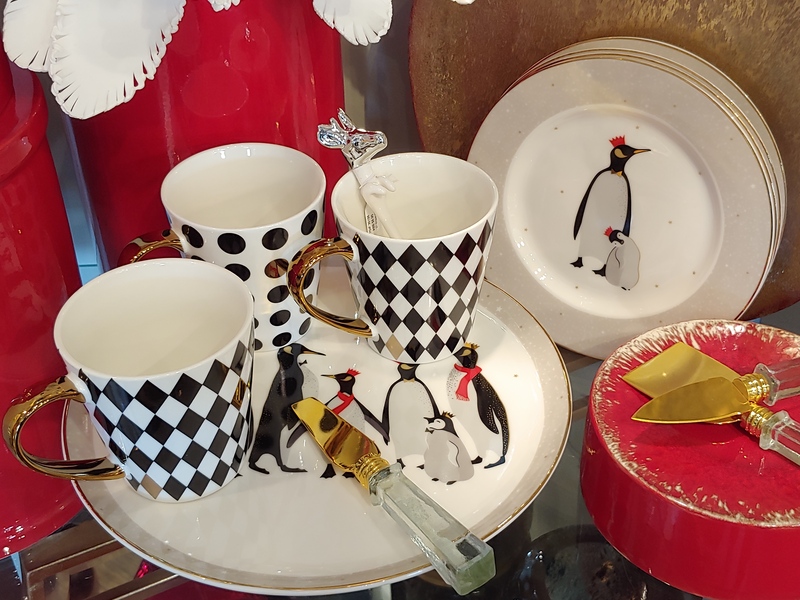 We have found over the last several years that shoppers are looking early for their favourite Christmas decor and gift ideas and we don’t want you to miss out. You may not be ready to put up the tree just yet, but getting inspired early won’t hurt. It also gives us enough time to place special orders if you want more of something or have some new dinnerware in mind. Besides we would love to see you now and throughout the season to share in all the holiday cheer. 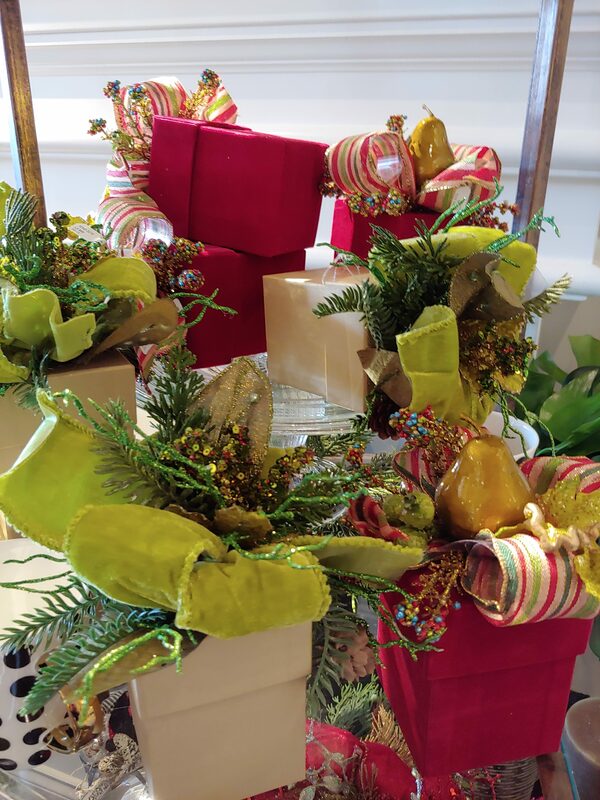 Its one of our favourite times of year to bring the magic of the season to our clients. 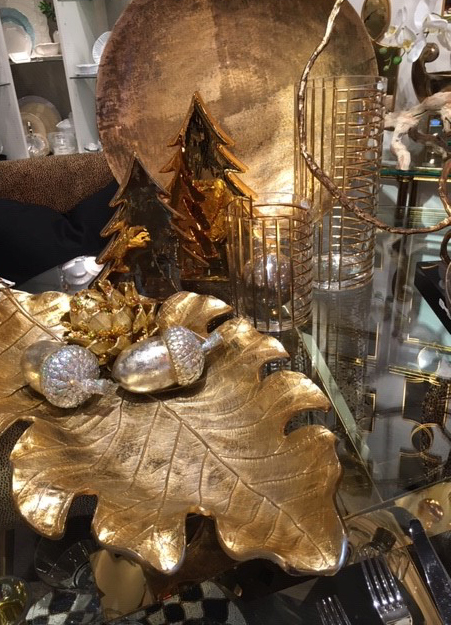 Over the next several weeks it will be like Christmas early at Modern Accents as we unpack some marvelous boxes full of decorative joy. I so wish you were still in White Rock!!! Thanks for saying so. You can always give us a call if you see something you like and we can send it down. Love visits in Kelowna too!